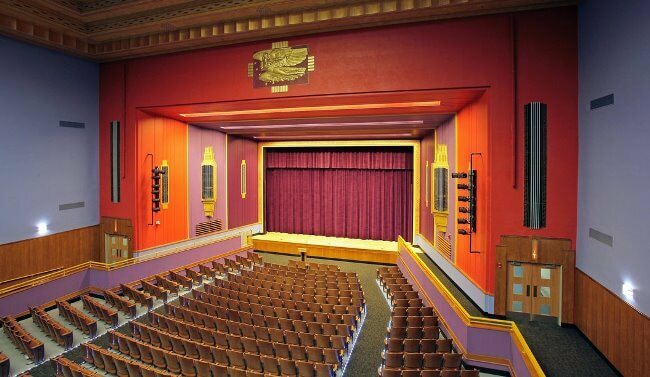 M&A’s Scope: Restoration of severely damaged woodwork throughout the original building, along with restoration of Art Deco auditorium and lobby. One of the oldest high schools in the US, it opened in 1857 and had to expand two year later to a larger space, unfortunately located below a dance-hall and above the town jail. A new school was built in 1896, and that too became insufficient to support the burgeoning student population. It was torn down eventually to make way for a new building; the oldest of the buildings on the Malden High campus is now the Donald E. Brunelli building, dating to 1938. 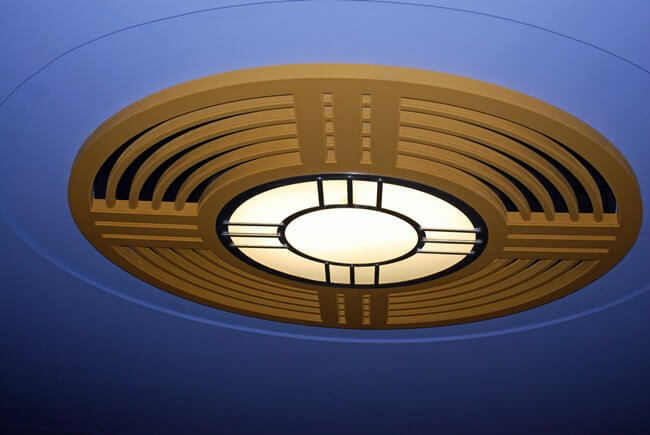 Its graceful Art Deco exterior is matched by its interior beauty. The main entries, with grand doors and high ceilings, and the beautiful Thornton Jenkins Auditorium are the central focus, but every classroom boasted beautiful oak millwork, doors, and built-in cabinetry. In 2009 the school underwent a huge renovation of the Brunelli Building, and a large multi-year construction project brought huge changes to modernize the facilities and support the growing population. Today the school is a model of diversity, with students from over 50 nations, and its architecture is a proud reminder of its 150 year history. M&A was called in at the beginning of the renovations to look at the woodwork conditions in the Brunelli building. 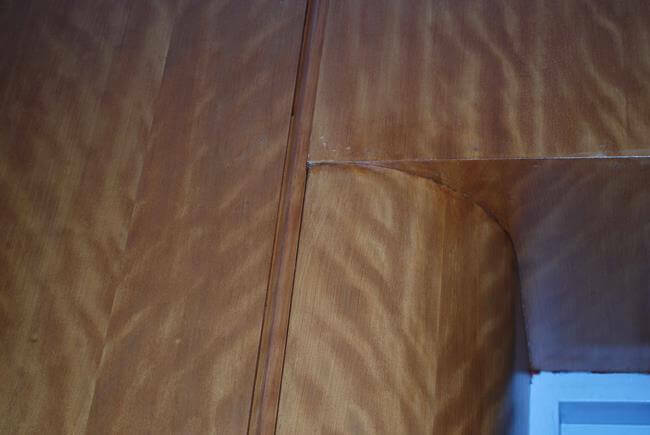 Needless to say, many years of wear and tear had severely damaged all of the unique millwork and casework, and the mahogany panels in the auditorium were in very poor condition also. Working with the CM and the architect, we were able to define a scope of repairs and refinishing which would refresh the surfaces and remove the worst of the gouges, divots, cracks and missing trim pieces. Historic window surrounds, wood chalkboard frames and trays, and shelving and cabinets, along with chair rails, crown molding and baseboard were all refreshed, restored, and refinished, with new components to match existing and Dutchmen patches where severe gouges needed patching. The paneled lobby with its huge doors were restored and the hardware refurbished. Everything was stained to produce a uniform level of color, tone and sheen. The centerpiece of work was the Thornton Jenkins Auditorium. An Art Deco beauty, the space was paneled in Avodire mahogany veneer, which had suffered mightily over the years. 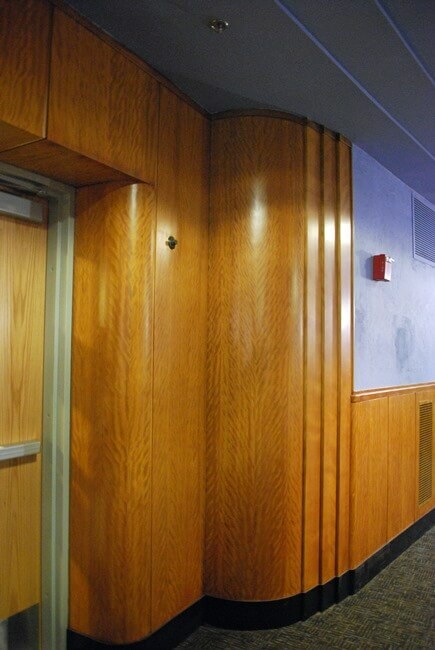 M&A was able to replace heavily damaged panel sections with a matching veneer, and the remainder of the panels were carefully restored and refinished. 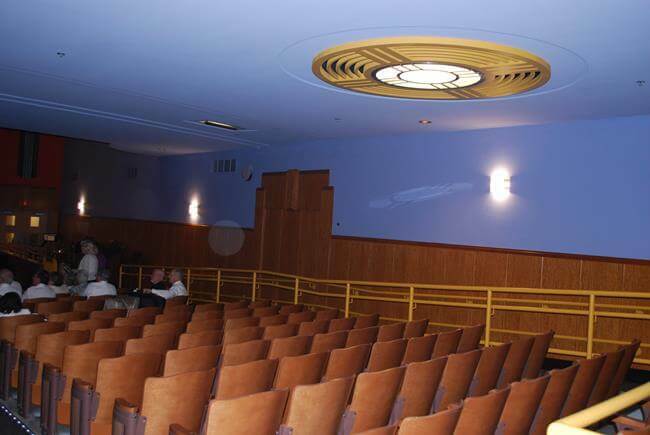 The original eight-foot circular plaster light fixtures were replaced in concentric circles of wood to match the originals, and several entries were reconfigured with new panels and surrounds blended with the original. The auditorium was dedicated by the Mayor in a civic ceremony attended by hundreds of proud alumni and Malden residents.